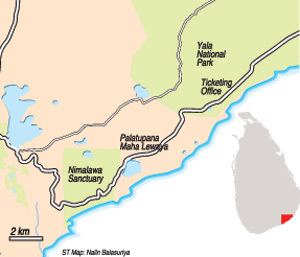 The Yala National Park will be closed for one month from September 7. The Department of Wildlife Conservation (DWC) announced this week that Yala, the country’s mostly visited national park, is closing during the height of the drought to ease the pressure on the animals from visitors. The break also gives an opportunity to repair infrastructure in the park. The tradition of closing the park at this time started in colonial days when the park was a game reserve providing hunting opportunities.